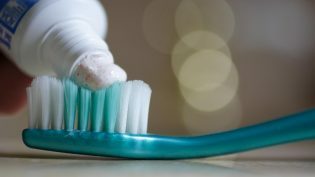 Classic Dental Smiles > Classic Dental Smiles Blog > Cosmetic Dentistry > Rancho Bernardo Dentist | WHAT TOOTHPASTE SHOULD I USE? The use of toothpaste is another frequent question we get at the office. Which kind is the best, does the brand matter, do the whitening ones really work, etc. These are all great questions and while we do not believe there is a “king of toothpastes” out there, there are specific ones we like to recommend based on a patients specific clinical situation. The purpose of toothpaste is to help remove plaque from your teeth, aiding the body to clear those pearly whites of any harmful bacteria. Many people love the minty, fresh breath that toothpaste leaves behind but it’s important to understand that the freshness of your breath does not correlate at all with how clean your teeth actually are. You can just swish with toothpaste to get that feeling while the plaque still sits on the teeth unaffected. The physical scrubbing action of toothpaste and a toothbrush is what will remove the plaque, not some chemical reaction that the toothpaste manufacturers advertise. While the brand may not matter, the quality of the paste does. In some cases, the enamel on teeth can be worn down by the abrasive particles on toothpaste. Couple this with acidic foods and drinks that we are prone to consuming and the tooth literally starts melting away. For that reason, we strongly recommend the use of soft toothpaste to stop the physical wearing of the teeth. You can conduct a quick test at home by simply squirting a small amount in between your fingers and rubbing your fingers together. If you can feel any “beads” or other coarse substances, we would consider that an abrasive toothpaste. It’s amazing how coarse some toothpastes really are; manufactures have made it that way to help remove stains off of teeth, therefore giving you “a whiter, brighter smile.” However, the tradeoff is often irreversible in that once teeth are abraded, the enamel doesn’t grow back and teeth can become very sensitive as a result. There are special over the counter toothpastes that are designed to help combat this sensitivity as well as prescription grade ones. Please come see us in Rancho Bernardo and ask our clinical team any questions you may have regarding your dental health. We care about teeth and want you to keep them for a lifetime. Please feel free to contact us at your convenience and we look forward to answering any questions you may have!